What makes a great festival? It's incredible the overwhelming quantity and quality of music festivals nowadays. What started out plainly as promoters organizing a series of shows that last one, two, maybe three days, has transformed into a multi-million business, that reaches many thousands of people every year. Listen, festivals aren't a piece of cake, not for the promoters, nor for the attendees. But they never have been. Woodstock is a fine example of an under-prepared festival. 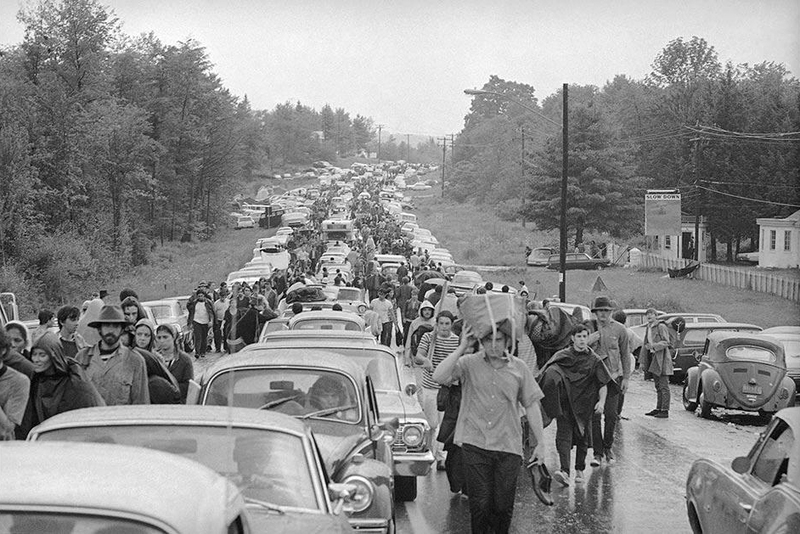 On August 1969, with close to a million fans trying to reach it, the town of Bethel was invaded by a 10-mile long traffic jam that lasted the entire three-day festival. While reports mention a relaxed crowd chatting and picnicking in the middle of the road, many had to turn back. Others simply left their cars and walked the rest of the way. More recently, one can't forget the almost tragic events of the Fyre Festival, where festival-goers definitely did not get the treatment they were expecting. After paying hefty amounts of money for their tickets, attendees found themselves in an unprepared island with a crew that wasn't even being paid. The thing is, as a festival goer myself, I set up expectations that go far and beyond the lineup. Don't get me wrong, the line-up is THE most important part of my decision on whether to go or not to a festival. But here's the thing: if my experience makes me regret that decision, I might never go back again. On the other hand, it's the little details that make all worthwhile, and those are the choices that some festivals are getting just right. It's 2017, so I'm expecting a festival to be easily reached. If you're making me take more than 3 hours getting there and then standing in a queue for more than 2 hours, you are not getting it right. Access to the festival should be easy. Get your transportation right, make deals with public services to increase their quantity and make sure the audience knows where to go. Take Portugal's Super Bock Super Rock, that changed locations majorly 3 times during the last 10 years. They started out with an awesome location, with plenty of space, parking, and transportation. Then they moved an hour away, to a spot you could only get by a tiny road that created jams that lasted hours because the parking was not well organized. Then you had an all-you-can-eat buffet of dust. Fast forward a couple of years and they're pretty much back to the original spot, with even better conditions. Crowds can get there my several means of transportation, right in the middle of the city. Festivals should be safe. If that means that a policeman has to search you, so be it. Festivals that are in spacious places like Coachella make it easier to stand and watch a concert while being comfortable and not feeling like you're stuck in a can of sardines. Festival goers need to breathe too, create the conditions to better improve circulation and crowd movement inside the site. Also, please find security teams that are basically good people. I have seen crews handing out water bottles and spraying crowds with water on hot days, it is totally appreciated. Everyone knows what festivals get wrong here: food inside the festival is freaking expensive. But hey, let it be awesome food at least. Take NOS Primavera Sound, they choose great local restaurants and "tascas" to get festival goers to stay fulfilled and happy. Locals can enjoy good food, and foreigners can have an exclusive taste at what some of the best Porto food is. A win-win situation and I don't even care about paying a little extra, the bifanas totally deserve it. While this may seem futile to some, the ambiance a festival creates might be really special. Taking local and up and coming artists, and giving them a chance to create and present their work to a huge crowd is something everyone can appreciate. Usually very instagrammable, pieces of art will create memories and epic photos. Take a look at some of the pieces presented on Governors' Ball, a great example of blending the spirit of the city with the festival mood. For last, not least, the dreaded festival experience brings us to that time when you just can't hold it anymore. Let's face it festival promoters, porta-potties should be banned for existence. In fact, I imagine toilets in hell are actually porta potties. If you're feeling cold shivers right now, it's only fair. But check out Vodafone Paredes de Coura's toilets. The festival is making amazing efforts in building actual toilets for attendees to use, with that great creation we call flushing. Plus, cleaning teams are making sure they stay clean. Congratulations are well in order. Just don't forget, as a festival goer yourself, it's your duty (hah!) to do your best at keeping it clean as well. Which brings me to civility. While the festival crew is doing their part, keep in mind to do yours. Keep it civil and respectful, have fun and help others to create incredible memories.